The Olet Story of Naaman is based on Second Kings, Chapter Five of the Bible. Naaman was a captain of the Aramean army who had a skin disease (leprosy). He goes to the prophet Elisha of Israel who cures him of his disease by having him wash in the Jordan river seven times. The prophet refuses to accept any payment for providing the cure because it was done in the service of God. But Elisha’s greedy servant, Gehazi, runs after Naaman and demands payment instead. Elisha sees what Gehazi does and punishes him by inflicting the skin disease upon him and his family forever. 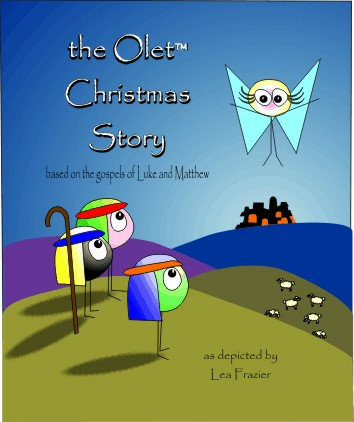 The Olet Story of Naaman is one in a series of the Olet Bible Stories that are being brought to life through the unique artistry of Lea Frazier.